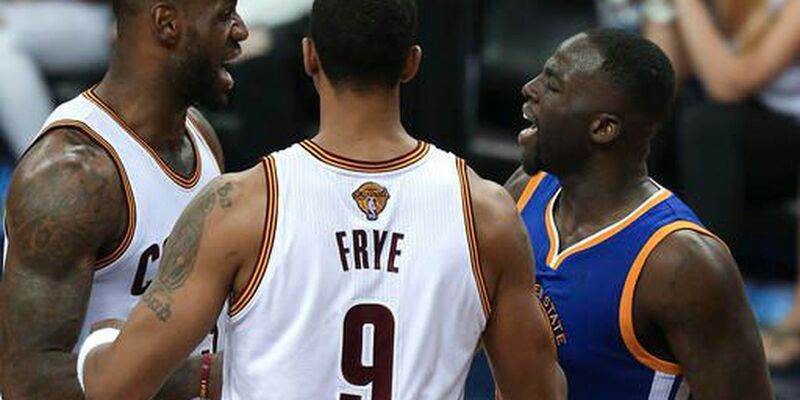 DOWNTOWN CLEVELAND, OH (WOIO) - Draymond Green sent out a tweet just before midnight Wednesday. Green may or may not be referencing Cleveland fans and their willingness (all summer) to bring up the Warriors collapse to the Cavaliers in the NBA Finals. The tweet came just after the Cubs came back from a 3-1 deficit to the Indians in the World Series. It's hard to call the Indians loss a collapse, as the Cubs were heavily favored. But if a tweet will help Green sleep at night after a tumultuous summer, so be it. Green may or may not be trying to pass Joakim Noah on the list of athletes who are loathed in The Land. The Cavs face off against the Celtics Thursday night in The Q. Tip is slated for 8 p.m. EST.